one batch. 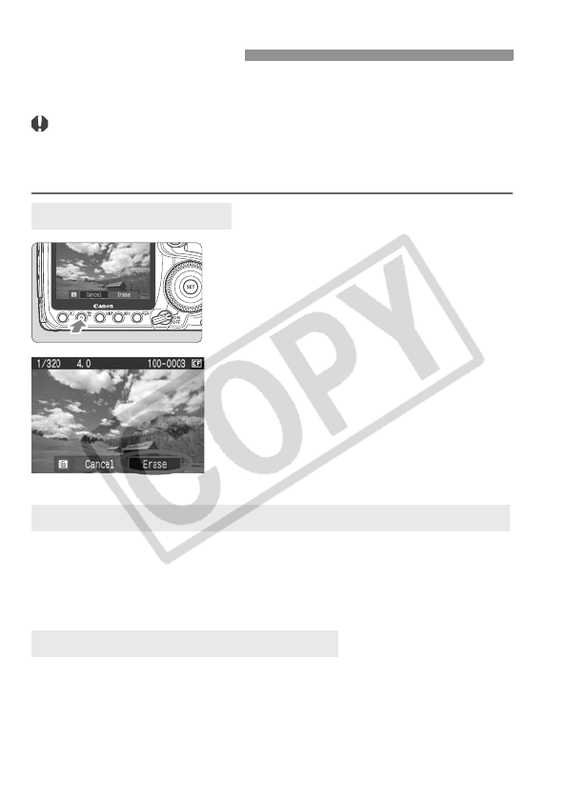 Protected images (p.123) will not be erased. Playback the image to be erased. Press the <L > button. erased. Then press the <L> button. the images in the CF card will be erased.